Happy Friday!! Is it just me or did this week FLY by?? Not that I’m mad about it…January is finally OVER and it’s officially February!! Wahoo!! Since it’s Friday you know what time it is, it’s time for the Friday Five!! If you are new around here then you should know that I reserve Fridays for five random things. Sometimes there’s a theme but they are usually random, like today! HA! Enough rambling, let’s get to it!! Drum roll please….here is this week’s Friday Five! ONE. 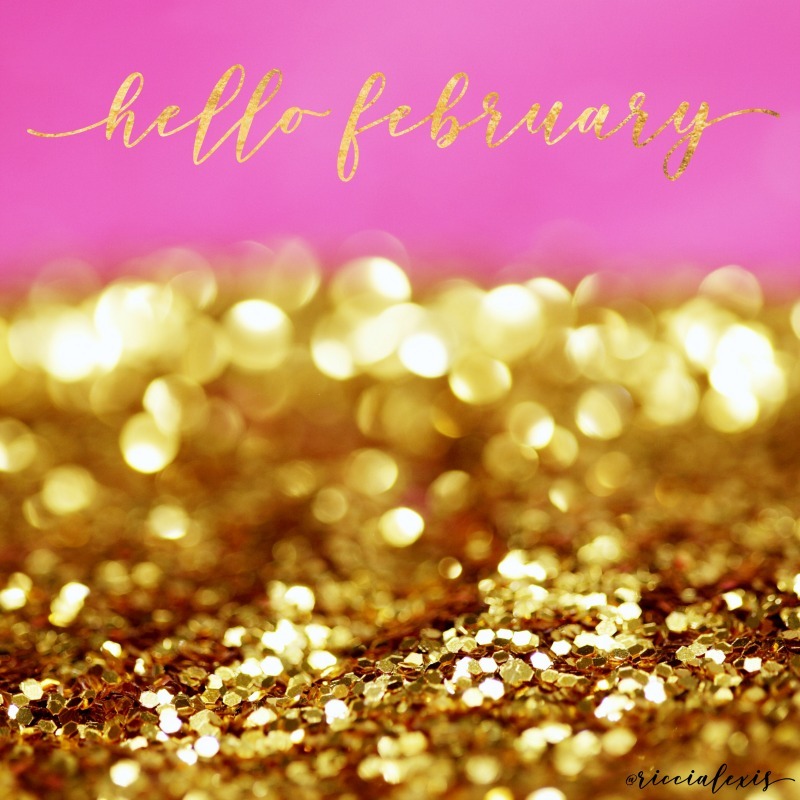 First things first…hello February!! My FAVORITE month of the year!! Not only is it the month of love but it’s also my BIRTHDAY!! Should I really be so excited about turning 36?? Not that it really matters if I should be or not because I am! I don’t have any big plans for my birthday and I think I like it. I have been on a mission to save money and I’m in a really good place with that right now and I want to keep it up! Enough rambling…HELLO FEBRUARY!! TWO. I have been on a self-care kick and for me self-care doesn’t always means getting massages and facials. Sometimes it can be as simple as putting lotion on every day to keep your skin moisturized. I am the worst about remembering to put lotion on every day so I put it in a place where I have to see it…with m hair products, HA! Whatever works, right? 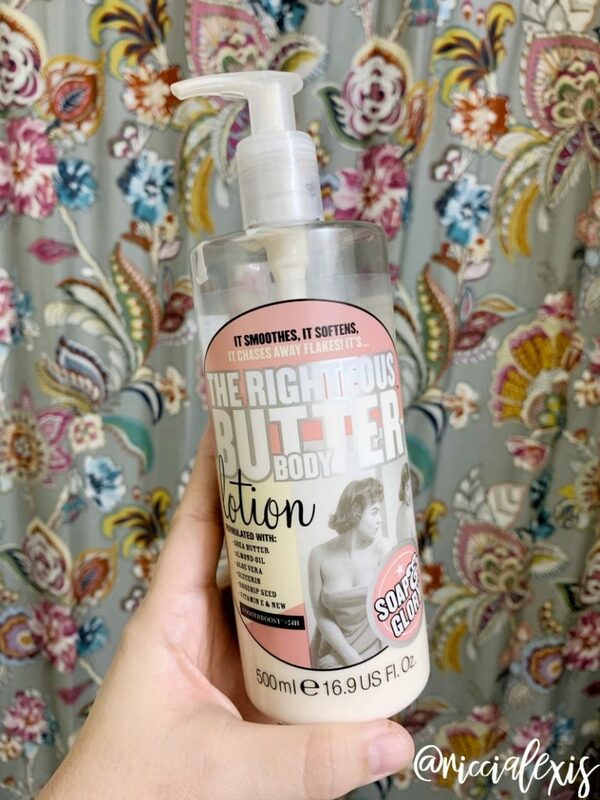 Since switching to cleaner products I discovered Soap and Glory at Target and am obsessed with their Hand Food (hand lotion) and Righteous Body Butter (body lotion) in the original scent. 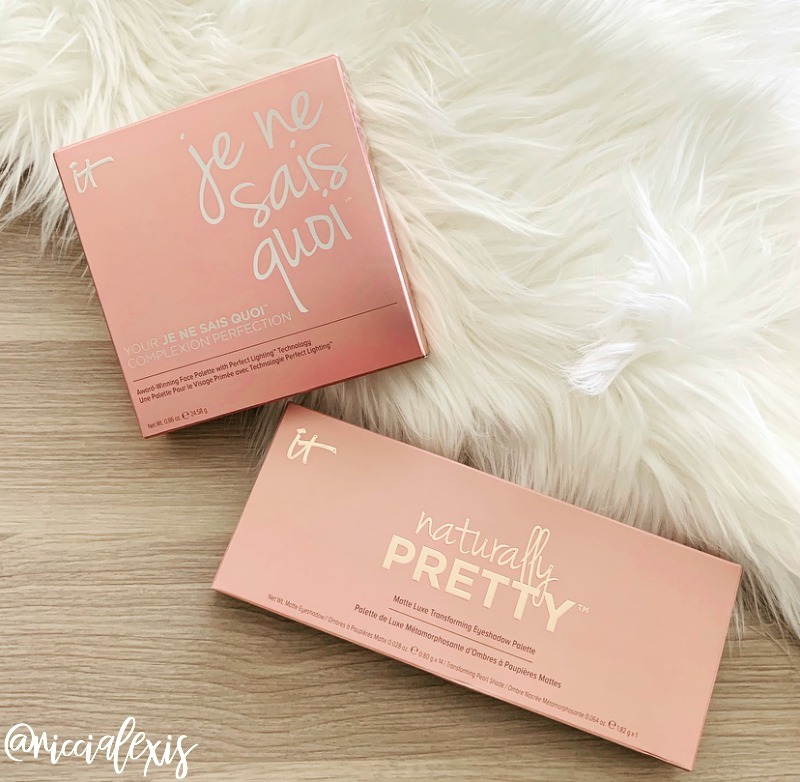 I LOVE this line and it keeps my skin so soft!! THREE. Am I the only weirdo who didn’t realize the Super Bowl was this weekend?! Oops! Who are you cheering for?? FOUR. One of my favorite brands, IT Cosmetics, is having a HUGE private sale for Valentine’s Day and they sent me a few products to try out…I will share the actual palettes closer to the day but y’all. These palettes are GORGEOUS!!! FIVE. 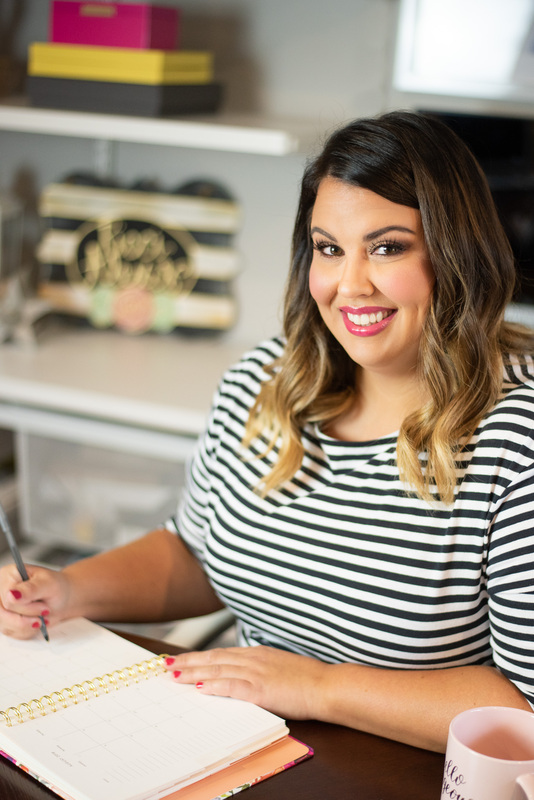 In case you missed it yesterday I am giving away a $100 store credit to JORD so don’t forget to get yourself entered!! I guess that’s it! Happy Super Bowl weekend!! HA!! I love IT cosmetics too! I’m hosting my annual Super Bowl Party and I’m not cheering for the Patriots. I’m so tired of them winning so I’m cheering for the Rams, watching the commercials and eating good food. Happy February! I use Vitamin E daily for my skin after my surgeon recommended it for scar healing. It’s helping with fine lines, too. Or at least I think it is. As to the Super Bowl, I’m cheering for the Saints… Oh, wait… They didn’t get in. I’ll cheer for the food! Happy Early Birthday! I need to try out these lotions. I’ve seen the brand at Target and was intrigued. self care is my jam right now ha im so bad about it but really making sure IM doing ok is key to keeping me active, and feeling my best- def going to be watching the big game too! I love the soap and glory brand. Been a while since I used it – didn’t know they’re in Target now! January did fly by! We’ve had 3 snow days this week, so we are all messed up! I’ll have to share this with my wife. I think she would really like this, especially the Righteous Body Butter and Hand Food. The week flew by for me too. I love Soap & Glory products. They have the best stuff!! I think it’s good for you to be excited about turning 36. Consider the alternative :) happy early birthday! I need to get some of that hand food! My hands are always so dry! Every time I go to the store, I see this brand and I LOVE the packaging! One of these days I’m going to cave and buy some. Happy birthday month! 36 is a good age to be… you are rocking your 30s! Love the recommendations. I am loving my new eye cream! I am so glad that it’s February! But I am waiting for March! I love spring, it’s my favorite season! I am just about to go through all my beauty items, had some packed away during restoration for bathroom. I keep seeing those lotions and bath products and wondered if they work good. 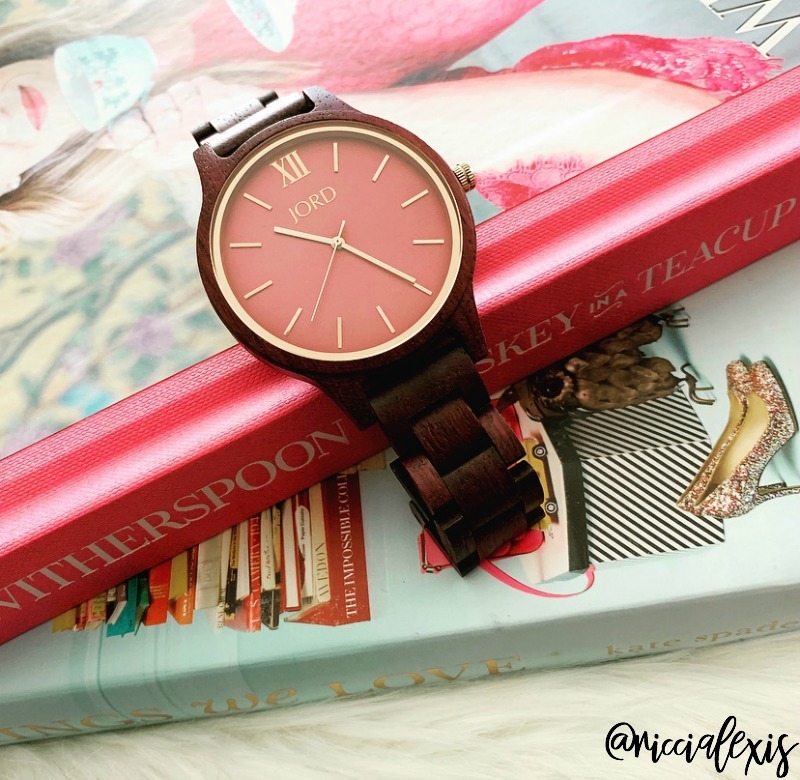 LOVE the look of that Jord watch! Oh, I love Soap and Glory products. My favorite is their body butter. It works so well for my skin. I feel like January flew by so fast! 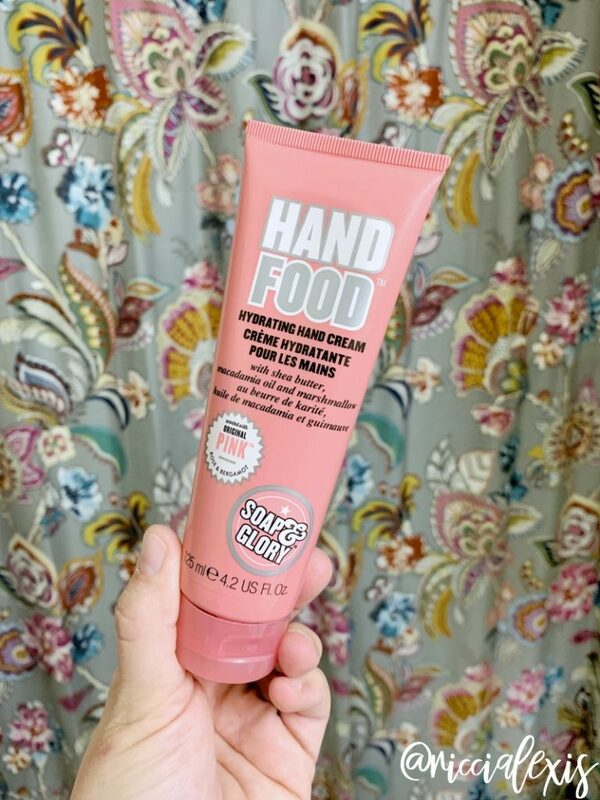 I am a sucker for hand cream so I want that hand food that you have. Happy February! I was so busy admiring your photos of the watch, that I totally missed that there was a giveaway for credit. I just went back and entered! February is the most celebrated month in our household so I’m really glad that January is over which seemed to take forever to end. LOL. Hope you have a fab birthday!